Sorry, this has been a late post. I was busy for the past few days and could not find the time to share this. 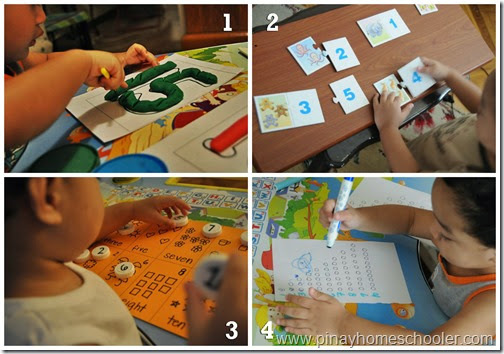 So this is a continuation of our Letter Sound of the Week activities. Right after letter a, we moved on to letter b, just in time to feed Vito’s obsession of balls. It took us two weeks to finish this. And note that we don’t do this the whole day! It would only take about 10-15 minutes for each activity, excluding my preparation time of course. Sometimes, preparation times takes like forever, while the actual activity would last only a minute. That is, if my Vito doesn’t feel like doing it at all. So what I do is put the tray back in the shelf and try again the next day, when he’s in the mood. Letter ‘b’ basket sound. Our basket contains a mini book of Dr. Seuss, given to us by Emirates, a block (soft block), and banana. What we do with this basket is that everyday, I would present it to him and mention all the name of the objects. We play it over and over so he will remember the words. Note: The basket is really really helpful. I suggest that you should do this as well. Objects shouldn’t be fancy, just look around your house and see what you can find. I later on added animal figures: bird and butterfly, our Playskool barrel , DIY sandpaper letter and Melissa and Doug Magnetic Letter. Letter ‘b’ craft. This was a collaborative work for both Vito and Mavi. Xavi did all the scribbling in our letter, Mavi designed Vito’s hand prints for the butterfly’s wings. Note: Since Vito can’t participate in this one yet, I love asking Mavi to show his brother how to do this. I think this is the best way of showing his little brother how to do things, like gluing and cutting. This is also a great activity for both brothers to bond. Balls! This was Vito’s favourite object as of the moment and we’ve been playing balls whenever we can (both indoor and outdoors). Note: Oh yeah, this has been a favourite toy and activity so far. Eating and playing bananas. Again, I always use familiar objects for Vito whenever we do our letter sound of the week. Vito eats banana during breakfast so this wasn’t new to him. I let him eat on his own and give him fork so he can practise picking up the banana slices using a utensil. 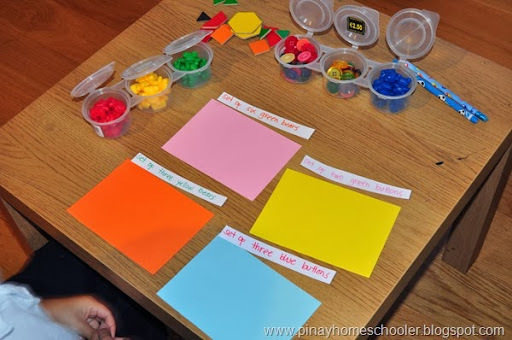 For the other tray, those are banana counters from Learning Resources. The object of this activity is 1:1 correspondence, that is putting a piece of banana in each hole (this is an ordinary ice tray). We count as we put the banana in place. 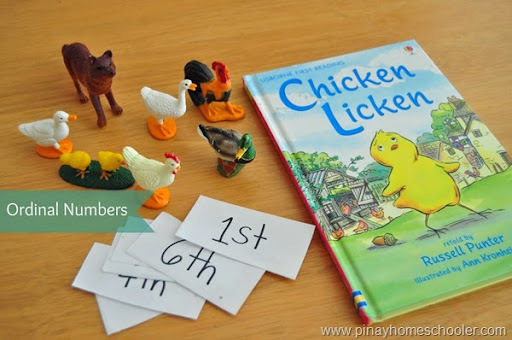 Note: Vito loves eating, and it is best to incorporate letter sound activities with food as this will help them familiarize with the sounds more easily. Soft blocks play. We love these blocks!! These are soft blocks I got from Amazon last year. Vito loves to stack and squeeze them. Note: I highly recommend these soft blocks. The colours are vibrant and aside from the ones I mentioned, Vito loves touching and feeling all those moulds on the sides. Bird crafts. I realized that kids as young as 18 months, can now be exposed to crafts. This was an assisted activity. I placed glue on the bird’s wings and made Vito put the feathers on it. He loves touching the glue more than feeling the feathers. Creating sound with bells. We started using my Vilac Rhythm Bells. At first he couldn’t make a sound, but finally created a soft tone when I showed him how to ring it. 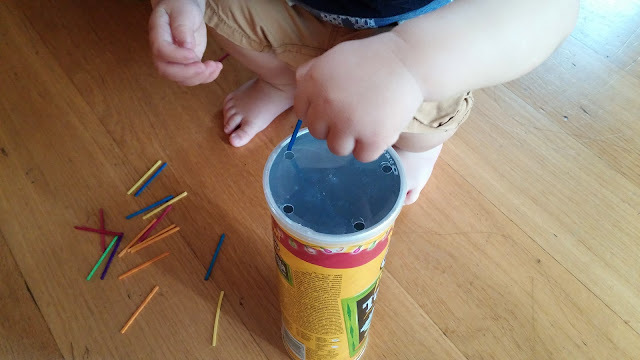 I also used this activity to introduce loud and soft sounds. Bear colour sorting. 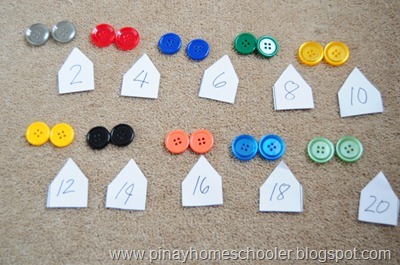 Bear counters for colour sorting. I continually give Vito this kind of sorting activities to expose him to colours. He can identify objects, but it is still a hit or miss with colours. 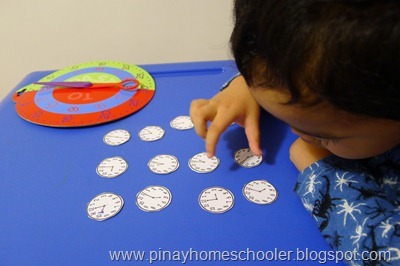 The bear counters are from Learning Resources. You can also use buttons. You can all these books from Book Depository as well. They ship for free anywhere! We read the books every morning. Not all. Mostly we can read as much as three books but mostly two books in the morning and two books in the afternoon. And that’s about it! I hope you enjoy this post as I love sharing these. Stay tuned for our letter ‘c’ in the next few weeks! Don’t forget to check our letter ‘a’ sound as well. 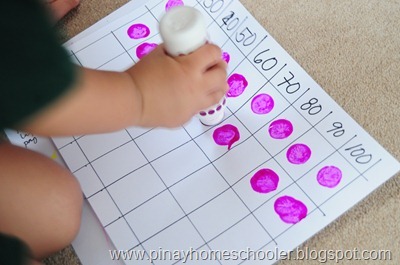 Oh and don’t forget to pin this activity, so you won’t forget it!